As many of you know, I LOVE CHOCOLATE. I also LOVE S'MORES. 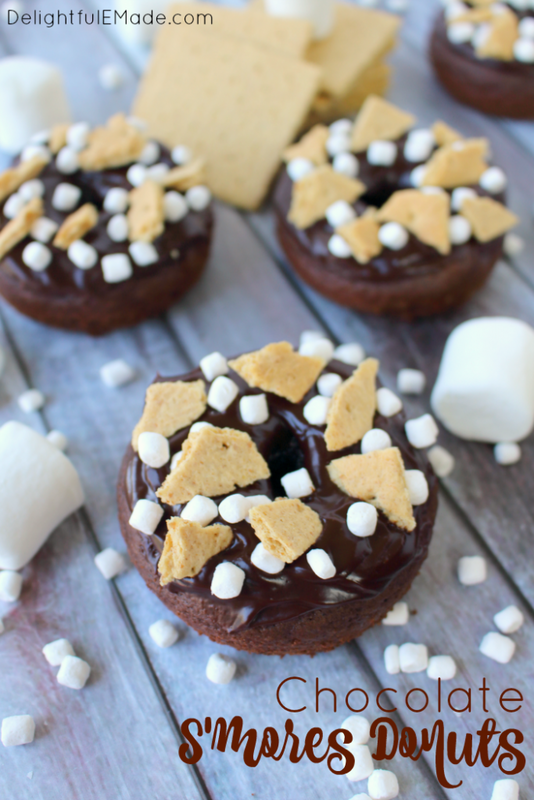 So when I saw Chocolate S'mores Donuts, I knew I had to feature them. Erin from Delightful E Made shows you step by step on how to make delicious chocolate donuts, and add the S'mores donuts. These are one of those food items, that I would be very impatient to eat while waiting for them to finish cooking. Be sure to stop over to Delightful E Made for the full recipe. It is time for a "BIG" Birthday Halloween PARTY!